Don’t have time to read? When was the last time you finished a book? 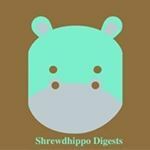 Shrewdhippo Digests create 15 minute digests on a range of non-fiction content.